At the 73rd session of the United Nations General Assembly this month, there was a widespread sense of foreboding among world leaders. The anxiety went beyond standard concerns about what US President Donald Trump would say, do, or tweet. Even before the summit began, Europeans, Canadians, Mexicans, South Koreans, and Japanese had been consulting in earnest about the need for a new alliance to save the multilateral system. In the late 1960s, former US Secretary of State Dean Acheson looked back at the immediate post-war era and felt as though he had been “present at the creation” of a new world based on shared rules and multilateral institutions. But at the UNGA this year, many attendees felt as though they were present at the destruction of that world. There are a number of reasons for this. But many of them are linked to Trump, whose attacks on the Paris climate accord, the Iran nuclear deal, NAFTA, NATO, the World Trade Organization, and the UN Human Rights Council have made it clear that he regards the international system as an unnecessary constraint on his administration. To Trump’s mind, multilateral institutions tend to strengthen the hand of weaker powers vis-à-vis the US, and are thus facilitating China’s bid for global dominance. Hence, his solution is to destroy the global order and then negotiate with other countries on a bilateral basis. That way, the US will always have the upper hand, enabling it to change the rules in its favor. But Trump is far from the only threat to the multilateral order. Chinese President Xi Jinping has sought to portray himself as a savior of the international system, and yet his goal is not to defend the institutions on which global governance depends, but rather to bolster China’s power. By deprioritizing human rights, Xi will be freer to pursue ambitious projects such as the Belt and Road Initiative, the aim of which is to enhance China’s influence throughout Eurasia and the Asia-Pacific region. Moreover, Trump and Xi are just two among a larger group of alpha leaders who are challenging the traditional Kantian international order. Other aspiring strongmen include Presidents Vladimir Putin of Russia and Recep Tayyip Erdoğan of Turkey, Prime Ministers Narendra Modi of India and Binyamin Netanyahu of Israel, and Saudi Crown Prince Mohammad Bin Salman. The rise of such leaders makes upholding the rules-based order increasingly difficult. 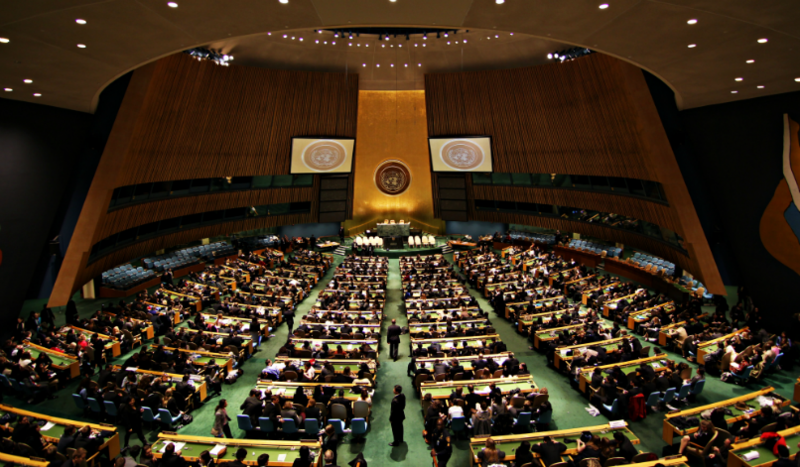 The task ahead for the remaining multilateralists is to avoid becoming guardians of a status quo that is already dead. That will require carefully identifying the weak spots of the existing order, and forging coalitions of the willing to address them. On trade, for example, multilateralists will need to work with China to defend the WTO; but they also need to reform the WTO so that it is equipped to curtail China’s problematic trade and investment practices. The trickiest part of this strategy will involve knitting together a critical mass of countries that can uphold liberal values even when great powers will not. This will be essential as the world moves away from the vision of multilateralism that prevailed at the turn of the century. When I was in Beijing a few weeks ago, Chinese strategists were debating whether the new order will be multipolar or bipolar. Most agreed that it will center on a bipolar confrontation between the US and China; but they doubted that it will resemble the Cold War and interwar periods. Instead, many expect a return to the geopolitics of the pre-World War I era. In my view, the new world disorder will have four key features. First, “connectivity wars” will be commonplace. The ties that bind countries together will not be severed, but nor will they create the conditions for true multilateralism. Instead, the major powers will weaponize their interconnections, giving rise to more trade wars, cyber attacks, sanctions regimes, and electoral interference. Second, non-alignment will become the default foreign policy. While the Cold War pitted the Western alliance against the Soviet bloc, the new bipolar world will allow for much more promiscuity. Rather than pledging allegiance to China or the US, most countries will keep their options open, working with the Chinese on some issues and with the Americans on others. Third, strongmen will continue to reign. As geopolitical competition heats up, voters will turn to tough leaders whom they trust to uphold narrow national interests. But this lurch toward centralized decision-making will produce inconsistent and radical policies, along with perpetual cheating. Without an empowered multilateral system to police abuses, countries governed by strongmen will increasingly break their promises, lie, and peddle conspiracy theories – Trump’s modus operandi. Lastly, foreign policy will become more domestically oriented. Rather than trying to influence other countries or lead on the world stage, political leaders will focus on consolidating their base at home. When confronting this kind of disorder, committed multilateralists will have to stay focused on defending the most critical aspects of the international system. That means they should be willing to play hardball against the alpha leaders. With their respective responses to Trump’s trade bluster, the European Union, Canada, and Japan have shown that this is possible. But now they must go further, by developing a comprehensive approach to defending global rules in an age of national misrule. This article appeared originally on 28 September in Project Syndicate.